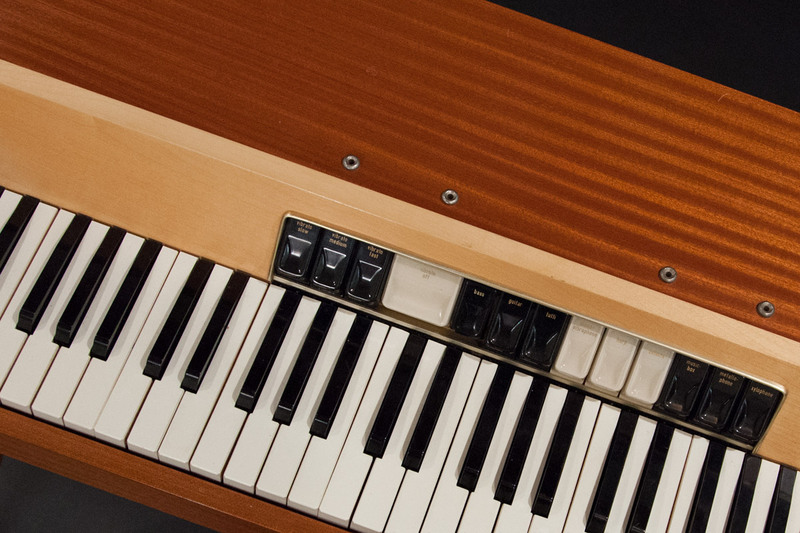 This 1960s Cold War collector's item was made in East Germany by the accordion manufacturer, Weltmeister (which means "World Champion”), and is the only known Eastern European electric piano. 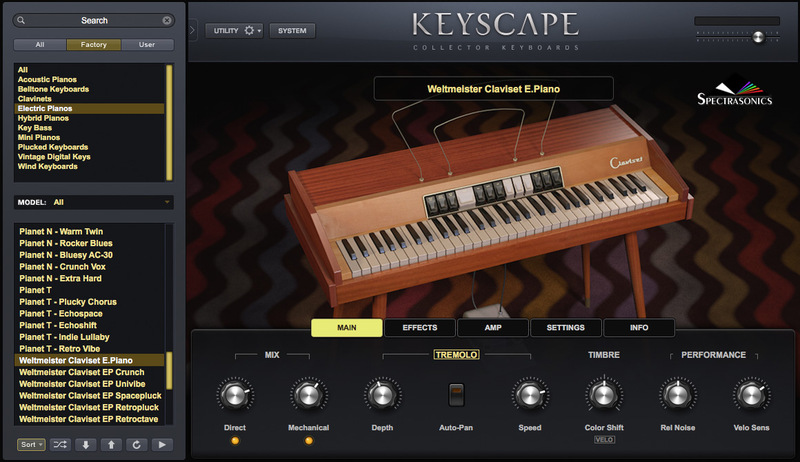 Although the Claviset has a similar sound to the Hohner® Pianet, the metal reeds are plucked by rotating rubber discs with small lips rather than being pulled by a sticky pads. The tines are amplified by electro-magnetic pickups routed to an internal battery-powered pre-amp. The instrument tone tabs on the front refer to the tonal qualities of the filters, rather than emulations of acoustic instruments. Difficult to get in the US until the Wall came down (and still rare to this date), the original Claviset was famously used by Joe Meek and OMD (Orchestral Manoeuvres in the Dark).